A donation of $35.00 for the first child and $25.00 for each additional child is suggested. The donation includes a T-shirt, which each child receives at the beginning of the week. Please make checks payable to Rocky River Presbyterian Church. The maximum per family is $75.00. Scholarships are available by calling Lisa Watts at Rocky River Presbyterian Church at (440) 333-4888. Don’t let the kids have all the fun! See the registration form for opportunities to be involved! Registration and class size are limited, so early registration is encouraged. Registration closes Tuesday, May 23 at 3 pm. IF SPACE IS STILL AVAILABLE AFTER MAY 23, ADDITIONAL REGISTRATIONS WILL BE ACCEPTED WITH A LATE FEE OF $10 PER CHILD. Click/tap here to print/view the registration form. There will be NO PARENT MEETING this year. If you are a volunteer, you may pick up your child’s information at the volunteer meeting on Tuesday, June 4 at 7:00 pm. 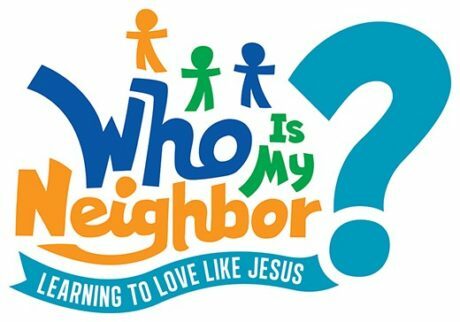 Otherwise, you must pick up information the week before VBS (June 3-7) during regular church office hours: 8:30 am-3:30 pm., before noon on Friday. Please call Lisa Watts at 440-333-4888 or Sharon Anderer-Armstrong at 440-331-6226, ex. 402 for more information.